Last week, I wrote about introducing the Twin Cities to someone new. Since then I’ve thought of hundreds of other cool things I could recommend. Welcome to my occasional series, So Cool: What to do in St. Paul-Minneapolis. Circle a boat on water skis? Impossible right? Nope! 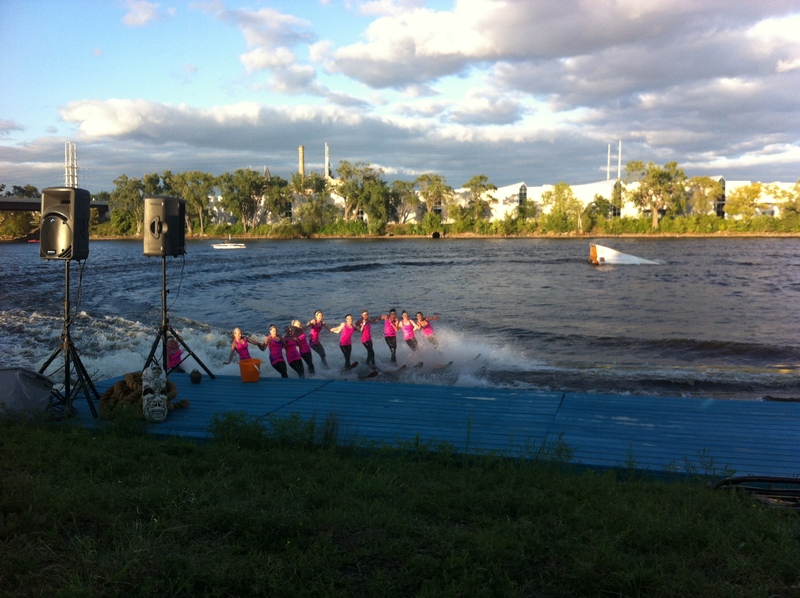 I saw it myself Thursday night at the Twin Cities River Rats water ski show in Minneapolis. With Spanish cousins in tow–who’d just learned to water ski–my family packed a picnic and headed to the Broadway exit on I-94. By 6:20 the park grounds were full of happy folks with blankets, chairs, and sweatshirts. We munched on French bread and olives in awe of the development team skiers who performed at 6:30. Candy and snacks are available at the team’s concession stand, too. and a pretty funny in between comedy routine. The team performs this week on Tuesday for their 4th Annual Military Appreciation Show (6:30 pm) and Thursday for their weekly event at 7 pm. But bring some cash and don’t be afraid to donate. This is an all-volunteer organization that spends $500 weekly on gas alone.